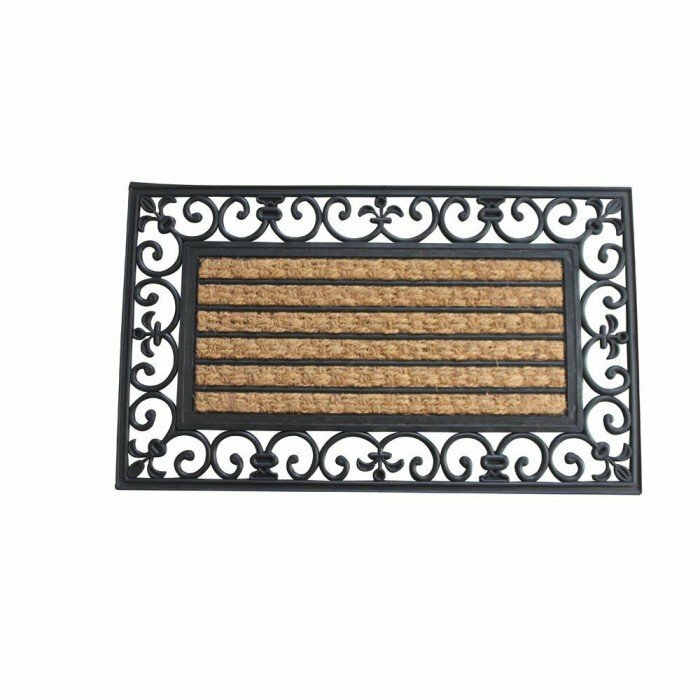 STRIPED MAT WITH FLEUR-DE-LIS BORDER by Summerfield Terrace home decor, jewelry, decor, decorations, electronics, fountains, floor mats, art glass, vases, garden essentials, fireplace screens. Welcome guests to your doorstep while keeping out dirt and debris. This beautiful rubber mat features a wide border with fleur de lis flourishes, and the interior has coir fiber and black rubber stripes that will help remove dirt from the soles of shoes. Material(s): RUBBER COIR. Weight 3.3 pounds. Dimensions 30" x 18" x 0.875".